They do not respect you! José Luis Rodríguez, Founder & CEO, Hispanic Information and Telecommunications Network, Inc.
Not one working teacher. Not one working principal. Not one superintendent, with the possible exception - if we really stretch it - of the very reformy and chartery Geoffrey Canada. This is a disgusting and completely unacceptable slight to all of the people who work every day to serve the children of New York State. How dare Governor Cuomo treat the educators of this state in such a manner. Randi Weingarten, I am talking to you right now: You had better go straight to Cuomo and demand that he appoint at least six teachers, three principals, and three superintendents or other administrators immediately to this commission. If he refuses, you need to resign from this commission and publicly denounce it as an affront to all of the Empire State's educators. Folks, the reason they get away with garbage like this is because we let them. NO MORE! We here in Jersey had to put up with a Educator Effectiveness Task Force with only one working teacher, and the results have been a disaster. This is about respect. If you politicians and business titans and other members of the elite refuse to give us just the courtesy of having a place at the table - correction, at OUR table - then we will refuse to cooperate. You owe it to the children of this nation to sit down, shut up for a minute, and listen to the people who actually do the job. ADDING: Parents, they don't respect you, either. Broad Residency fellows such as Bing Howell and Rochelle Sinclair are chosen, trained, paid and placed by the Broad Foundation’s decade-old educational transformation initiative. Broad has placed them with the New Jersey Department of Education, which has three high-level leaders, including acting Commissioner Christopher Cerf, with ties to Broad. Howell and Sinclair are young middle-level employees with MBAs, but relatively little experience in education. Despite that, they serve important roles central to the future of the Camden school district. Howell serves as a liaison to Camden for the creation of four Urban Hope Act charter schools. Howell reports directly to the deputy commissioner of education. Sinclair is assigned to the office of school improvement, which will oversee the creation of a regional achievement center, or RAC, in Camden. The RAC is meant to turnaround 23 of the district’s failing schools. Sinclair reports to Penny MacCormack, the chief academic officer and assistant commissioner of academics for the Department of Education. Like Cerf, MacCormack is a graduate of a Broad Foundation training program for superintendents. One of Broad’s most substantial critics is Diane Ravitch, who was assistant secretary of education in the administration of President George H.W. Bush. She has questioned the “education venture philanthropy” practiced by the foundation. Ravitch, now an education historian at New York University, was quoted in the Education Week story. The colonization Ravitch spoke about, the placement of Broad superintendents and resident fellows where there are already Broad alumnus, is known as pipelining, which appears to be happening at the DOE. It's worth repeating that these people have very limited education experience or training, and the Broad Academy is not an accredited program in higher education. The fact that they play-pretend to have gone through a rigorous program is an affront to real educators and real education schools everywhere. In addition to the hiring of Broad-trained personnel, the DOE is using a $60,000 grant from the foundation to pay for a consulting contract with a man who has taught at Broad. The three-month contract is with William Cox's DSA Capital. Cox has taught at Broad's academy for superintendents. DSA's review is expected to suggest restructuring plans for the DOE. But the committee's chairman, Louis D. Greenwald, D-Camden, questioned awarding the contract to Cox’s firm without a public bidding process; no bidding was done because Broad picked up the tab for the DSA contract. Greenwald did not respond to a request for comment last week. The makeup of the foundation’s education board and their connections adds grist to critics’ comments. • The chairman is Joel Klein. He was chancellor of the New York City Board of Education under Mayor Michael Bloomberg. He is now an executive vice president of News Corporation, Rupert Murdoch’s media company. Dan Katzir is secretary/treasurer. He once ran the Broad Foundation and still serves as an advisor to Broad. An MBA, he is a former regional director for Sylvan Learning Systems, which provides educational coaching. RECOMMENDATION 7- The Task Force recommends that the state Department of Education carefully examines the following issues during the time of transition. Think there's a conflict of interest here, now that we're talking about putting SAT scores on student's transcripts? And how about this member of Broad's board? • Michelle Rhee is the founder and CEO of StudentsFirst, which advocates transforming education. She is the former chancellor of the District of Columbia Public Schools, where she clashed with unions and was criticized for not working with parents. Students First partners with B4K, which recently ran a big public relations campaign in defense of suspended Perth Amboy superintendent Janine Caffrey. Reports are the NJDOE came in to mediate. Do you think the people of Perth Amboy would see the NJDOE as an impartial adjudicator when so many of their staff owe a debt to an organization where Rhee serves on the board? Newark, Jersey City, Camden, Perth Amboy... what's that suburbs? You think you're immune? That this tide of reforminess couldn't show up at your door? 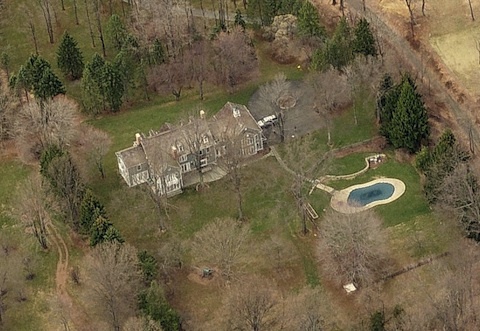 The infestation of Broadies into the NJDOE leaves the department open to charges of nepotism and conflict-of-interest. There are too many people with too many personal and financial interests in New Jersey's schools to allow this to continue. 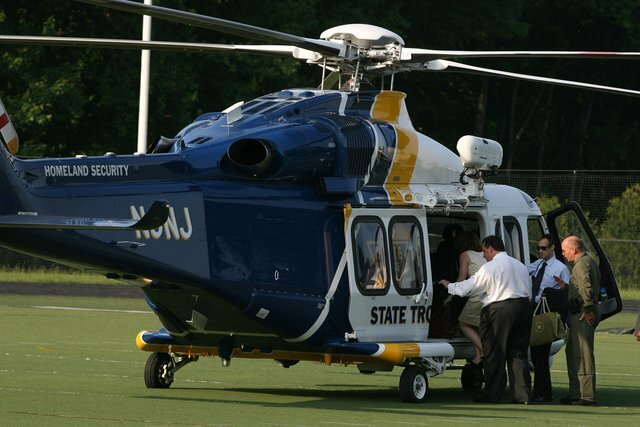 The department needs to cut its ties to Broad and return any money he has invested in the NJDOE. If they won't, the Legislature has an obligation to investigate exactly what conflicts of interest arise from this unseemly intrusion. I find it hysterical that so many of the "corporate reformers" also love to sing the praises of the free market. They seem to believe that they can cap salaries and take away pensions, benefits, and workplace protections, but somehow still attract loads of qualified people to the field - in complete contradiction to their stated beliefs about the private sector. "Talented teachers" are most likely talented in other areas as well. Why would they "flock" to teaching when they can be paid much more in other jobs that don't offer tenure? There used to be some logic in the way teachers were compensated. Yes, they made less than other parts of the labor market, but society made it up in other ways: pensions, health care, tenure, etc. This was a good deal for taxpayers: it saved them money by providing non-pecuniary compensations to educators. Well, we've pretty much destroyed any advantage teachers had in health care and pensions at this point. Now we're going to take away tenure. Politicians like Chris Christie and Arne Duncan keep saying they'll make up for this by "paying the best teachers more," but why should any teacher (or potential teacher) believe them when they won't come up with a serious, concrete plan to do just that? They want us to give up our benefits and tenure just on their promises? Look at the top of this blog, and tell me what a promise from Chris Christie is worth. This entire reformy movement has been all about cutting teacher compensation. The hope among the reformy is that we have so decimated the middle class that teachers will have no choice but to give in, because everyone else has sucky benefits, pay, and workplace protections. The problem is that, even though the American aristocracy has done some real damage over the last 30 years, they haven't yet brought down the entire labor market. Teachers (and potential teachers) still have other options. They don't have to teach if they don't think it's worth it; they can go do something else. See, a good teacher must be a saint. The regular rules of the marketplace - the ones Christie cheers as he provides tax giveaways to the "job creators" - just don't apply to teachers. It's OK to be motivated by money if you're in business, but it's not OK to passively accept lower wages, broken promises, and the abolition of tenure if you're a teacher. Anyone who does that isn't "passionate" enough. Janine Caffrey, the superintendent of Perth Amboy schools, has been shut out of her office and sent home. No one disputes that she works hard and that she was putting in place exactly the reforms she promised when she was hired less than a year ago. No one questions her integrity or her intelligence. That is a direct accusation about Caffrey's integrity. Is it correct? I don't know - but neither does Moran! "I’m not a politician," Caffrey says. "I didn’t think I signed on to be a politician. I’m an educator. I think superintendents in these communities are forced to think like a politician in order to survive. And my biggest mistake is that I don’t think that way." First of all, like any politician, Caffrey uses the media to her advantage. She's now been on 101.5 multiple times, she's practically got her own column in the S-L, and B4K has been running a public relations campaign in her defense. Protesting that she "isn't a politician" while working the press this hard is more than a little dissonant. Second: if Caffrey had ever worked as an administrator in a New Jersey school district before she took this job, maybe she would have known something about how to work with school boards. According to her own resume, her only public school administration experience was in NYC from 2009 to 2011: years when the schools were under direct mayoral control. So if she's right and she made this mistake, it's reasonable to assume she made it due to inexperience. Which brings us back to Moran: he made her a star-witness in the media against tenure, even though she had not completed even one year as a superintendent in New Jersey. He didn't bother to check whether her anecdotes were true. He barely published any dissenting voices to her opinions. Instead, he gave her the patented Moran-style hagiography (a la David Tepper). Let me be clear: there's nothing wrong with talking to a first-year superintendent about tenure. There's nothing wrong with that superintendent making a case against tenure, weak as it may be. But this is a matter of balance. Where are the experienced voices of educational leadership in New Jersey? Where are the teachers and administrators who would make the case for tenure? Because I don't see them in Tom Moran's op-ed page. This is a cautionary tale about how politics can derail school reform. Because when you try to change the way schools do business, it upsets the adults every time. Some of that is based on old-school greed. Teachers unions, for example, generally want sturdy raises every year and no accountability. Some of it is genuine, based on skepticism about charter schools or tenure reform. Some, especially in Newark, is rooted in suspicion of outside influences. Those forces, when combined, make for a potent defense of the status quo. And if we expect superintendents to overcome that by themselves, then reform is never going to gain momentum. They need help. More like pay cuts, destroyed pensions, and a media that keeps blaming us for problems we didn't create. A media that is run by folks, like Moran, who would take away our workplace protections on the say-so of people who have minimal experience leading this state's schools. I think we can do better than this. How about we elevate the discussion to the substance, and move off the personal insults? I don't see it as teacher bashing to say that tenure protects those teachers that are incompetent. There are incompetents in all fields, including journalism. The point is there has to be some way to try to improve them, and if that fails, get rid of them. Current tenure laws don't allow that. If you have a problem with Caffrey's credentials, your beef is with this board who hired her, less than a year ago. She's doing exactly what she said she would do. As for charters, I don't see them as a panacea. The bad ones should be shut down, just as persistently failing traditional schools should be. But there is no doubt that many charters are succeeding wildly. You can visit them. Why else would 10,000 kids in Newark be on waiting lists? As for families, yes, clearly poverty and parental neglect are key factors in student failure. Where does that leave us? Should we then say that nothing can be done, or should we try our best? It is not hopeless. You can see in almost every district there are a handful of schools that are doing well, despite this problem. And low income kids from broken families in New Jersey do a lot better than the same kind of family in Mississippi, where they spend far less. If you look at the details in Perth Amboy, you want to scream. The charge against Caffrey is led by board president Samuel Lebreault, who is under investigation by the state Attorney General’s Office because he applied for free school lunches for his kids, even though he says he knew he didn’t qualify. Lebreault did promise last week to reconsider the district’s policy on student suspensions, put in place by Caffrey. When she arrived, 38 percent of high school students had been suspended in the previous year. That had become the go-to response on discipline, the lazy response. So a new policy was put into effect: Caffrey had to approve any student suspension. The rate plunged to 10 percent, closer to the norm. But rumors spread that she had banned all suspensions, leading to chaos. Dozens of parents complained at a raucous school committee meeting. Somehow, Caffrey got the blame, even though this policy was approved in advance by the school committee. Also worth noting: All four board members who voted to oust her face re-election this year. Current tenure laws most certainly do allow for the removal of incompetent teachers; the problem - which everyone acknowledges - is that the procedure is too lengthy, costly, and ambiguous. That can be fixed; even the NJEA wants to fix it. This is a straw man argument. Anyone who has a beef with Caffrey's credentials should question why the PA BOE hired her. But they should also question why the woman was given multiple platforms to spout off against tenure in the Star-Ledger. That was Moran's choice; not the PA BOE's, but Moran's. He put this woman on his pages, gave her a heroine's treatment, and never once questioned whether what she was saying was accurate or informed by relevant experience. The readers of the S-L have every right to express their displeasure at this, and Moran's pearl-clutching call for civility does not lessen the validity of their complaint. I would address the charters comment, but I think I've already written the same thing about one-hundred-billion times, so what's the point? The film's treatment of teachers and unions drew some criticism at a screening and discussion of the movie sponsored by Parents for Public Schools Jackson last week at the Malco Grandview Theatre in Madison. With its anti-union, right-to-work status, Mississippi has no full-fledged teachers' union. The state does have two "professional organizations," Mississippi Professional Educators and the Mississippi Association of Educators, a chapter of the National Education Association--which organizes as a union in other states and is the largest labor union in the country. MAE President Kevin Gilbert took offense at the documentary's portrayal of groups like his. "It was obvious that the movie's statement was that teacher organizations are part of the problem," Gilbert said later. The critique of teachers' unions also has little relevance for Mississippi, as the state lacks the tenure protections of other states, Gilbert argued. Organizations like Gilbert's have no collective bargaining status. The state Legislature sets the standard teacher's contract. The state's employment laws for teachers actually provide considerable protection, though. After working for a school district for two consecutive years, a teacher is protected by the state's Education Employment Procedures Law. The law requires administrators planning not to renew a teacher's contract at the end of the school year to notify them in writing by March 1. Administrators must also document their reasons for non-renewal. In practice, Gilbert says, this means that principals must observe the teacher and write out an improvement plan--which the teacher must fail to complete--before issuing the non-renewal notice. The teacher is then allowed to request a hearing with the school board. Tenure-ish? Unionization-lite? Doesn't seem like neutering the unions and gutting tenure helped much down in Mississippi, did it? Well, maybe if they got rid of even those small protections they give to teachers, things will turn around. They just need to make themselves even less like a unionized, tenured-teacher corps, high-performing state like NJ, right? In an editorial called “Making the Grade: The Case Against Tenure in Public Schools,” the editors argued that it was a fine idea to remove any job protections from public school teachers because they don’t need them. In making this assertion, the editors of this once-liberal magazine were giving support to the far-right Virginia legislature, which was at that moment not only trying to strip teachers of tenure but to require women to have “a trans-vaginal ultrasound before having an abortion.” The editorial of course condemned the latter as harsh, but thought that the far-right effort to remove job protection from public school teachers as a “halfway decent idea.” Indeed, the editorial went on to decry teacher tenure as “the least sane element” in our country’s education system. By contrast, the editorial maintains, K-12 teachers need no such protection. They don’t create ideas, they don’t delve into controversial subjects. Their job is so important that they should be fired if they aren’t doing it right (let us assume for the moment that “doing their best work at all times” in Virginia means teaching what the Virginia legislature wants to hear and not teaching what it finds abominable). Is Ravitch overstating her case? Is this really a problem? Are K-12 teachers under the gun to adhere to ideological views rather than teach what has been arrived at through the scientific method or the application of reason and logic? Again: "Someone has got to stand up to the experts." Says it all, doesn't it? This cat, who holds a degree as a medical professional (! ), believes that dinosaurs lived at the same time as humans. And he served as the Chairman of the Texas State Board of Education. These people are everywhere; don't try to convince yourself they aren't. They serve on boards of education throughout the country - even in the smart, sophisticated, "we-would-never-do-that-here!" Northeast. How would you like to be a librarian at a school where Don McLeroy served on the local board? Would you like to justify the dinosaur books you check out to kindergarteners? Or the menorah you put up on the windowsill next to the Christmas tree? The New Republic, in all their condescension, forgets the most important thing about schools: they're where we train children to think. Unfortunately, there are many adults out there who don't like it when children think; they prefer unquestioning rote behavior, like filling in the correct bubbles on a sheet of paper. If we are to ever have any hope of retaining our prominence in the world, we'd better make sure the Don McLeroys of the world do not get to interfere with the work of our teachers. We need tenure. PERTH AMBOY – In an exclusive interview with School Board Member Israel Varela said he puts his money where his mouth is.“What is the most important to me are the students, community and school staff,” states Israel Varela. Varela was responding to the allegations brought up by the Superintendent accusing him of going to her to try to place his friends in jobs in the school system. Amboy Guardian: In the beginning Sam Lebreault was your biggest cheerleader. When did you notice a change in his attitude toward you from positve to negative? Janine Walker Caffrey: About September 21, 2011 an investigation of Sam Lebreault began in the Attorney General’s Office. Lebreault then started to bring a list of 14 allegations against me. After a lengthy process there was a special meeting on Saturday, October 29, 2011. That morning there was a snowstorm. At that meeting it was discussed about the issues at hand. I thought things were going well. I began to have discussions with every Board Member individually. AG: When did Sam Lebreault approach you about hiring his friends for district jobs? JWC: Sam Lebreault attempted to hire the individual in June after I was appointed but before I officially started to work as a superintendent. AG: Is there any proof of Lebreault asking you to hire his friends for district jobs? How was this communicated? Phone? Email? Person? at a school or non-school function? Was there any witnesses? JWC: I cannot get into specifics because of ongoing legal investigations. That's an interesting new wrinkle, to say the least. Again: I have no idea who is a fault here. But this little paper/website is willing to do what Tom Moran is not: give both sides of the story. They haven't pre-judged the matter before the facts are all in. For all their faults, I find myself admiring the journalistic ethics of small outlets like this more than the big boys. As I said before, using standardized test scores for even a small part of teacher evaluations is problematic, because the test is only part of the evaluation, but it's all of the decision. Because the rest of a teacher's evaluation is based on imprecise measures like observations, the very precise score a teacher gets on his or her students' tests takes over the rest of the evaluation. For example: let's say a teacher in a district has to be cut. If two teachers are rated in their observations as "partially effective," the one with a lower ranting based on testing will lose her job - even if her observation shows she was almost rated "effective," and the other teacher was almost "ineffective." What's worse is that all of the evidence shows that the the use of tests in teacher evaluations leads to high error rates: the teachers' ratings will show a phony precision. We will be making precise high-stakes decisions based on evidence that is not accurate enough. This is a serious problem; I would wager implementing this arbitrary decision making will be enough to delegitimize the profession of teaching so much as to fundamentally change the profession for the worse. Now, one of the responses to this argument is to say that we should try to make teacher observations more precise. 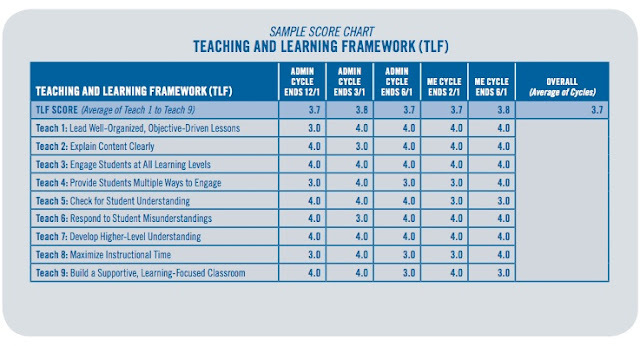 We should use observation tools, like Danielson's Framework, to give us a more accurate "score" of a teacher's effectiveness than merely saying the teacher is "Ineffective, Partially Effective, Effective, and Highly Effective." This is a sample of a teacher's score after five observations. In each observation, the teacher was rated on a scale of 1 to 4, 4 being the highest. All of the scores are averaged to give us a final teacher score of 3.7. "Wait!" says the reformyist. "At least this is fair! At least we're not giving breathing bonuses just for getting through another year! This is much better, because the better teacher is getting the bonus. Sure it's only a 0.1 difference, but at least it's fair!" Mon 3 ft. 3 ft.
Tue 3 ft. 3 ft. Wed 3 ft. 4 ft.
Thurs 2 ft. 3 ft.
Fri 3 ft. 3 ft.
SNOWFALL 2.8 ft. 3.2 ft.
Well, there you have it: Rheeville averages more snowfall. Averaging the multiple ratings in the first table did not make the snowfall measurement more accurate; it merely gave the illusion of precision. Only when we can make the initial measurement more accurate can we derive an overall score that we can confidently act upon. Now, I have yet to see a teacher evaluation rubric that claims observers can make distinctions between various elements of teaching practice at more than a few different levels. Danielson uses four; Impact uses four. No more precision should be attributed to a teachers "score" from an observation than that. And if that's true... well, we're back to where we were with standardized tests. The test is only part of the evaluation, but it is the majority of the decision. And if a teacher's livelihood depends on that test's score, what do you think she's going to do? Not teach to the test? Uh-oh: now we've exaggerated the actual difference between the cities. If we had more cities competing, that shift may have made a difference. The point stands: you can't generate precision simply by adding more observations or more things to observe. 2) I think my analogy is more apt when it comes to teacher ratings. You get an "Effective" if you meet a minimal requirement; you get "Highly Effective" if you meet the next minimal requirement. A 3.1 is functionally the same as a 3.9 in this system: neither got a 4.0, even though the 3.9 was close. But make your case in the comments; I'm always glad to see something I may have missed. Just don't be a jerk about it, OK? 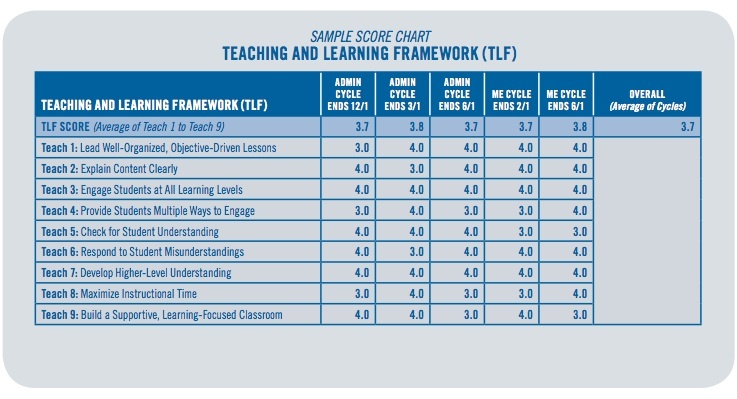 ADDING: Look at the IMPACT TLF Framework again. Notice that the scores are all two-digit numbers, but the values are only one-digit. In other words, the score is given as "3.0," but there is never a "3.1" or a "3.2." It's always rounded to an integer. That's deceptive garbage, and I'm amazed no one's called this system out before. Well, maybe they have, and I haven't seen it. You don't add a ".0" to a value unless you are going to actually have the possibility of using that digit after the decimal to assign a value. Danielson's framework doesn't allow for that: you give a 1, 2, 3, or 4, and nothing in between. Whoever put this together is using math to create phony precision. It's completely fraudulent and I'd say unethical. Read the whole thing. Please. He just nails it. What are we going to do with Tom Moran? Congratulations to the Perth Amboy school board for the double-whammy last night when it voted to place Superintendent Janine Caffrey on administrative leave. This move will waste money and hurt kids. Nice going. Caffrey did nothing to deserve this. The charge against her was led by the board president, Samuel Lebreault, who is under investigation for trying to get free lunch for his kids even though he acknowledges he doesn't qualify. Caffrey has been cooperating with that investigation, which may be the reason Lebreault is aiming at her. On the other hand, maybe that's not it. Maybe it's because Caffrey wouldn't hire any of the cronies Lebreault has tried to force on her since she arrived in Perth Amboy less than a year ago. Lebreault won't comment on that one. But let's just say that his credibility is not exactly inspiring after the school lunch bit. If you have to pick the more credible source, Caffrey wins this one with a slam-dunk. The only indication we have that Caffrey did anything wrong are the charges brought by the PA school board. They did not need to substantiate their charges with evidence in order to dismiss her. It may well be that the board is railroading her and she is in the right, but the fact is, we only have her word and theirs. We just don't know yet. The only indication we have that Lebreault did anything wrong is that he is under investigation by the state Attorney General's office. Maybe he did find a way to illegally remove a copy of his free lunch application; maybe he didn't. He claims his kids don't even get free lunches; if that's true, this is a different case than Elizabeth. But we just don't know yet. The only indication we have that Lebreault pressured Caffrey into hiring his friends is her word. She admits she didn't hire them, so there's no actual cronyism that happened. This is a classic case of he said-she said. We just don't know yet. The 22-point complaint against Caffrey is filled with pure nonsense. One of her offenses was that she spoke to the media. That's not usually considered a firing offense in a democracy. But whatCaffrey did in an interview with The Star-Ledger is frankly discuss how insane the state's tenure rules are. That probably explains why the audience last night, packed with union teachers, erupted in applause when the board voted to chop off her head. The vote was met with a roar of cheers and applause from the audience. Of about 400 people at meeting, about half were district employees, said Donna Chiera, president of the local teachers union. Chiera said Caffrey had lost the "trust and confidence" of the staff. According to Moran, Chiera just isn't being honest here: she's really upset about Caffrey speaking out on tenure. How he is able to read minds, I have no idea. Of course, Moran neglects to mention that Chiera was appointed by Chris Christie to his Educator Effectiveness Task Force. This group provided a report which is the backbone of the TEACHNJ bill - a bill that will gut tenure as we know it in New Jersey. I don't know if Chiera supports TEACHNJ or not; I do know she's hardly against "reform." Caffrey will probably sue over this and surely win. That will cost taxpayers money. But for now, the loss can be counted in the kneecapping of her attempts to improve performance in the district, moves that impressed acting Education Commissioner Chris Cerf and Mayor Wilda Diaz, both of whom think it's nuts to fire Caffrey. Any way you look at this one, the kids in Perth Amboy are the big losers. And for that, this board deserves all the credit. First of all, if Caffrey's firing results in stopping a bad technology-based curriculum from getting a toehold in Perth Amboy, I'd say the kids will be the ultimate winners. That aside: again, Tom, how do you know that the board doesn't have legitimate greivances? And are you saying all 200 of those employees (your count) who showed up to wave goodbye to Caffrey don't have the best interests of Perth Amboy's kids at heart? In fact, Tom, I'd say you're leaving out one very important person who has a vested interest in all of this: yourself. You tried to turn Caffrey into a folk hero, lauding her for her stance on tenure. Caffrey knows how to play the media, having promoted herself as an author and speaker for years; I'm sure she made a very alluring pitch to you. Unfortunately, Tom, you didn't do your homework; if you had, you would have discovered that Caffrey did not have any experience as a public school teacher*, principal, or head superintendent in any state, let alone New Jersey. You would have found she spent two years buried in the NYC school bureaucracy, and seven years before that running a tiny private school in Florida: hardly sterling credentials for running a large school district with a significant limited English proficiency population. Tom, you promoted her; now you're stuck with her. Unlike me: I have said all along I don't know who's right here. Caffrey may well be exonerated, but we just don't know yet. It's probably best to wait until we get the actual facts before we rush to judgment. * That isn't correct according to Caffrey's website: she did work as a public school teacher, but not a principal or superintendent. I apologize for the error.